Tippinators.com: Paintball Is Dying, It's Your Fault! 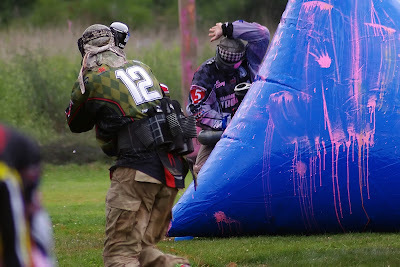 When I started playing paintball the choice of markers was vast for players. You could use a Splatmaster or a PPG. No foolin' there were two choices. Both of these markers took a 10 ball tube of paint, that if you were lucky, you could get on sale for two for $5.00. To put that amount in perspective, $2.50 per tube in 1980's is equivalent to $1000 per box in 2017 dollars. I know what you are thinking, “Oh great! Another old guys telling us how good we have it.” Well yes, and no. We as players have never had so many options when it comes to the game we love. I mention 'back in the day' because I have seen paintball come from nothing to become a massive global industry and recognized sport. A few committed (or should have been committed some would say) players spread the word about paintball. 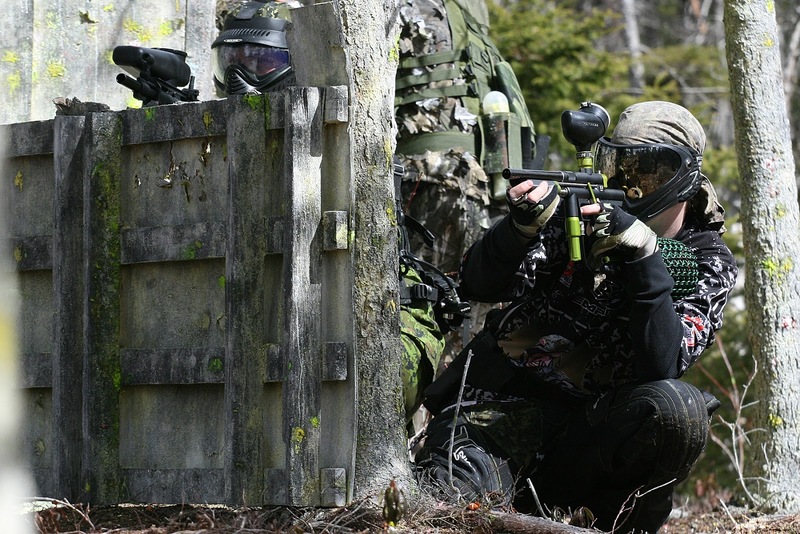 Over the years paintball had grown from a few nuts in the woods to millions of players all over the world. The one thing we all have in common is we all love the sport. Curry continued “With regards to one genre of our sport, how did over a fifty percent decline in our available field options happen? The answer is simple: player decline” While Curry is referring specifically to speedball. His observations and insights are symptomatic of the sport as a whole. The sport has declined in recent years. What will it take to reverse the decline? To answer that question we should try to figure out what it was that made to sport grow. Internet forums like PB Nation, M Cater Brown and others brought players together from around the world. Players used forums to exchange ideas, sell old gear and argue about what type of paintball is best. Even though there was arguing and flame wars, we all came together to talk about paintball. Special Ops Paintball was one company that went one step further. They offered customizable markers, a system for international player rankings, prize giveaways, even their own magazine. Spec Ops saw the power in bringing players together, and it worked. The online forums turned a group of people playing a game on the fringes of extreme sports together to create a global community that made every player feel like they were part of something bigger then themselves. Not long ago big games like Hell's Survivors, Castle Conquest, Invasion of Normandy, Tippmann Challenge, and many more, would be attended by thousands of players, from across the continent. During mega games the parking area at Skirmish USA was a sea of tents and campers. Seeing thousands of players all eager to get on the field and play was a truly inspiring site. On top of the mega games, international tournament paintball leagues like the PSP, NPPL, CXBL, NXL, and Millennium Series provided a venue for talented local players to become true paintball professionals. Local players can become international celebrity’s thanks to the media coverage of the leagues making more players want to come out and play. Once again the power of sport came from the gathering of players. Unfortunately the pro leagues and mega games have been affected by the economy and have been scaled back. Players have to travel further to play in smaller events. The world is a mess economically; people are losing their jobs and homes all over the country. Even countries around the world are going bankrupt. When money is tight recreational activities, like paintball, are always one of the first things that get cut. There have always been things that need our money more than a recreational activity. There always will be. If you are careful and plan ahead you can always a way to get to the field and shoot some paint pellets. If you love the game you will always find a way to play. If you don't have the money to shoot two cases at practice then grab a pump gun and shoot one bag. Ask the field owner if you can ref for half the day in exchange for paint. One thing that has affected the game is the emergence of airsoft. Paintball has lost some woodsball player participation due to the low cost of airsoft BBs. Withheaper ammunition but still maintaining the thrill and camaraderie of paintball makes airsoft a great choice for some people. I have played airsoft, and it is a lot of fun. 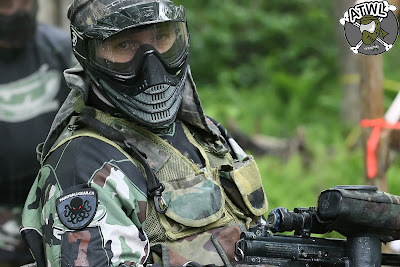 I can't explain what it is, but for me there is something missing in airsoft as compared to paintball. It is a great sport but, not quite the same as paintball. What will it take for the sport to survive? For any sport to survive it takes a core group of dedicated players to promote the sport whenever possible and keep new players coming back. New players are intimidated by fancy guns and flashy gear. It is up to every one of us to make new players feel welcome and comfortable at the field. If we keep the new players coming back, they will bring their friends out; the game will survive and flourish. The life and death of the sport we love is up to every one of us. We all have a part to play, and we need to come together again to make our sport flourish. I agree with most everything in your post, but I think you missed a key reason why there are less paintball players at the field on any given day (airsoft by the way peaked in 2012, so the continued decline in paintball since then has little to do with airsoft). Electronic gaming is using up much of people's time today. Time is not unlimited and if people are spending hours upon hours in front of a screen playing games, then they are not doing other things, like going to the field to play paintball. There has been a slow culture change where people are spending more and more time in front of screens (not just playing games) and less time doing other activities, especially outdoor activities and I'm afraid that trend is not going to be changing any time soon, or maybe ever. Reiner hit the nail on the head. Do a Google trends comparison between the words paintball, Airsoft, and gaming. There's your answer. The best hope for paintball companies and pro players is to start turning their attention to eSports, and prepare for the area in eSports where they'll do well which is augmented reality gaming. It's not here in a big way yet, but it will be absolutely massive when it hits. If paintball companies don't make that switch, they're dead. We're at the point where "bring your friends", "play more", "be nice to noobs" will no longer cut it, as if it ever did. What if I told you. That I might have a sultion to our sport declineing. Carefully planned a marketing campaign. The problem lies that the industry only cared for the development of products and goods actually overwhelming the market. Forgetting what the market needs and what needs to be done to make the sport evolve. Like everything els your market needs to grow. Not the amount of goods that can be sold. So by taking diffrent aspects in consederation to make the sport evolve and get new players. Bringing back what made it to be the sport it is today. To be part of something bigger than yourself. Team spirit. And simply the challenges of an adventure. Where Did All the Speedballers Go?